It’s as if your entire life flashes before you. 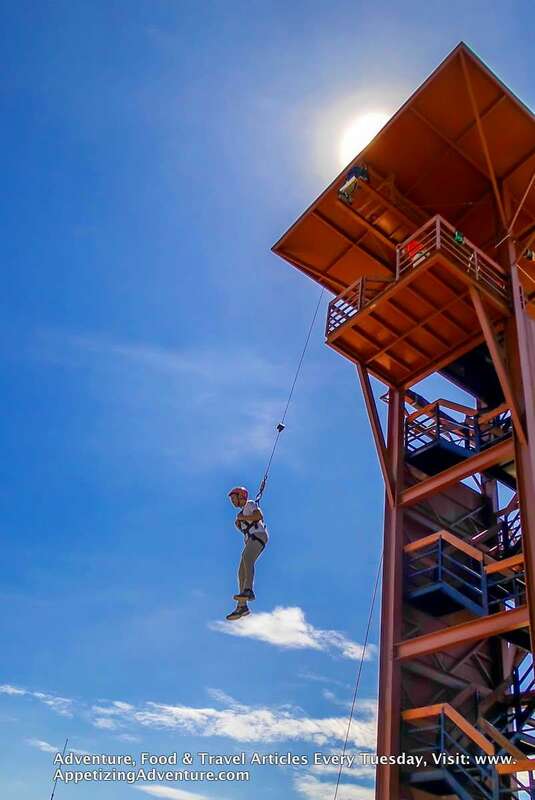 Standing at the edge of a 5-storey platform can definitely make you think of all sorts of things, especially when your goal is to step off, and fall 15 meters down. Crazy? It’s exhilarating! 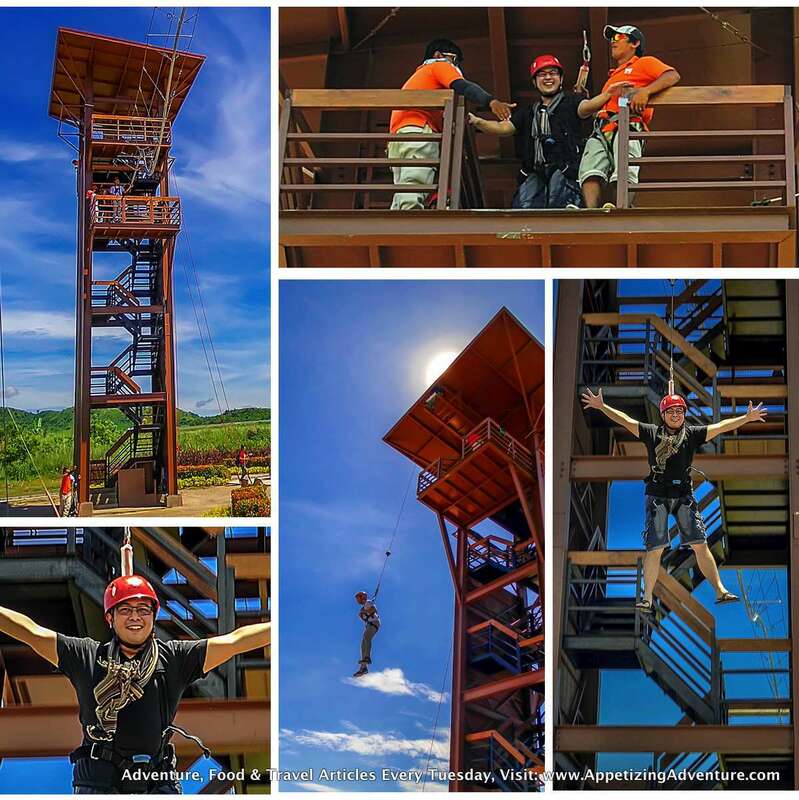 That’s the Free Fall activity you can try at the Sandbox Adventure Park in Porac, Pampanga. 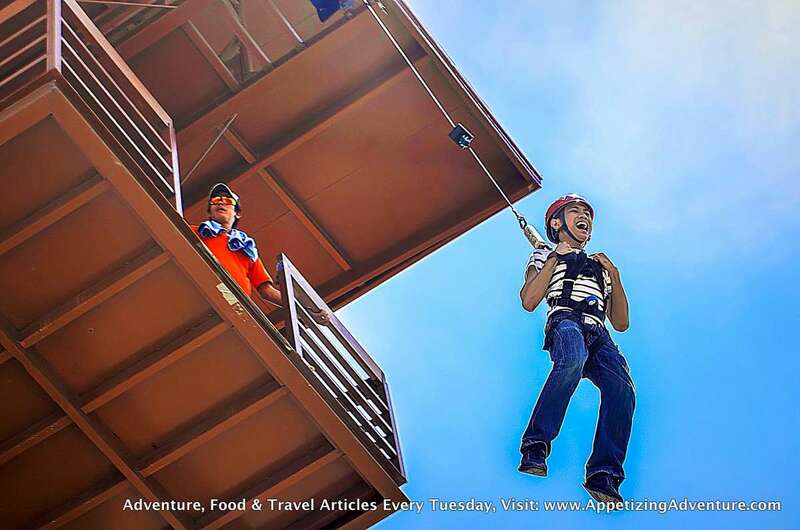 The Adventure Tower at the Sandbox is where you can experience the Free Fall, Roller Coaster Zipline, Wall Climbing and Rappel Wall. 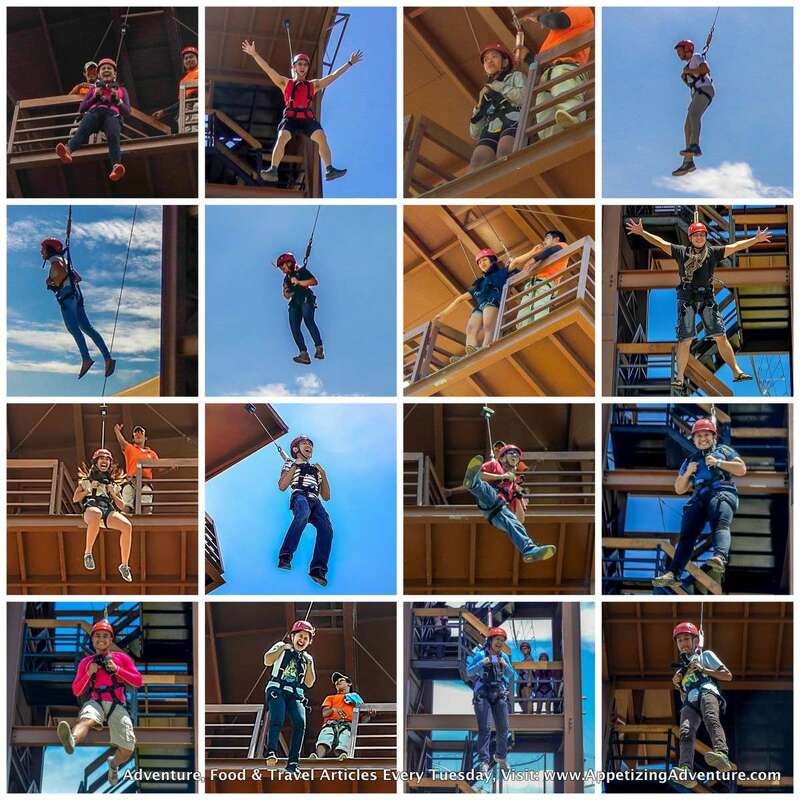 For the Free Fall, you first need to have the facilitators on the ground strap you with the harness. Wear the helmet too. Then, it’s time for the first challenge — climbing the stairs. A step, after another, and another. After going past the third floor, my feet felt like they were attached to barbells and lifting them became more difficult. No rush. Somewhere along the way, I took a break to catch my breath. And up I went again. 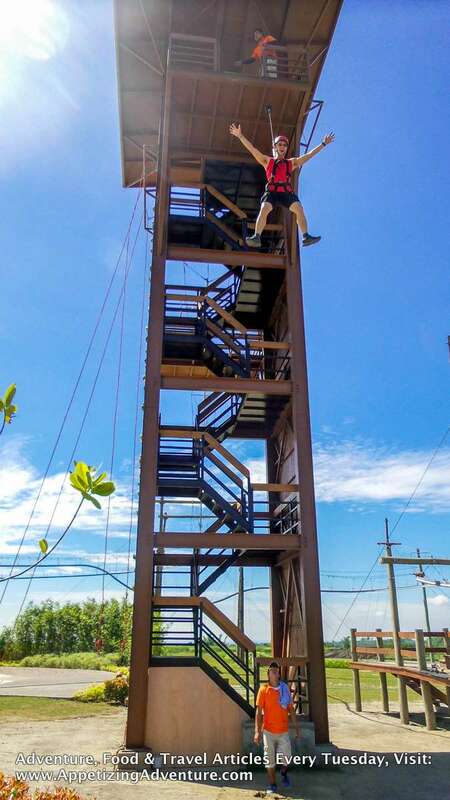 Reaching the top of the tower activated something inside me. My fear of heights. Looking down from beyond the grills, made me feel vulnerable. My hands were drenched with sweat from terror. The facilitator attached the hook on my harness to a metal bar. That made me feel safe. But not for long. The moment he swung open the gate, I knew he was going to take me there. He unhooked me from the metal bar and attached me to the cable. My steps were small and careful. When I saw my feet at the very edge of the platform I also saw how high we were. We’re on top of a 5-storey tower. Everyone seemed so small below. And by instinct, I grabbed whatever I could hold on to tightly as if holding on to dear life. My heart raced. I could easily retreat. Take a big step back. Swallow my pride, and say it’s over. Then, the fear would slowly fade away. My heart goes back to normal. I could relax on the ground. This feeling seemed all too familiar and convenient. If I had given in to that same feeling growing up, I wouldn’t have gone up on stage, I wouldn’t have stood in front of the camera to deliver a live report, I wouldn’t have gone to numerous auditions, I wouldn’t have hosted my very own TV show. That’s when I realized that courage, as the saying goes, isn’t the absence of fear, but doing what’s right despite it. Hey, that’s much like life. 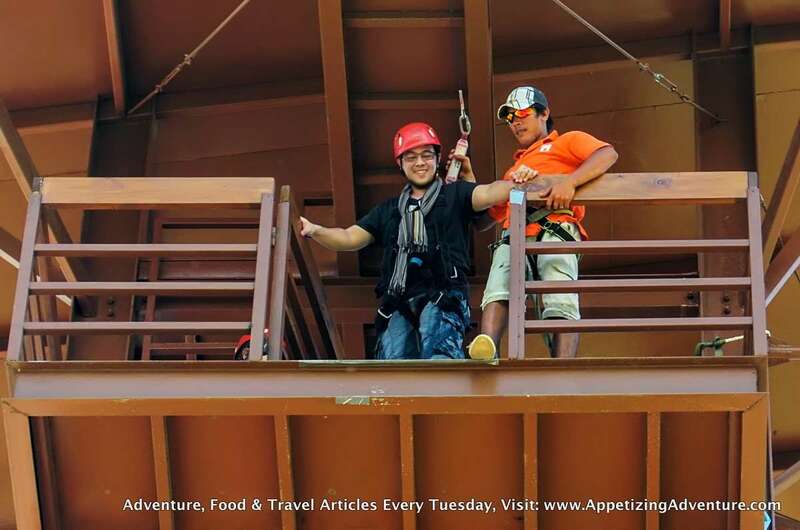 My goal was to experience the free fall. I should stop entertaining dreadful thoughts and focus on the goal. The facilitator helped. He said, that instead of looking down, I should look straight ahead. He also advised against jumping, which is not allowed. I should just step off the platform. So, I looked straight ahead and saw the mountains in front of me, and stepped off. Whoa!!! I was falling! And, it was fun! It wasn’t as fast as I thought it would be. I felt a force slightly pulling my harness, making my descent safe. The feeling was fantastic. It was freedom. My feet landed slowly and gracefully on the ground. I breathed heavily with excitement and triumph. Now I look back and I laugh at myself for having all that fear, anxiety, and thoughts of backing out. I could now do this again, and again. And I did. The second time I did this, the fear was still there, but not as much. The newfound confidence was greater.